Grewia abutilifolia Vent. ex Juss. Grewia angolensis Welw. ex Mast. Grewia biloba var. microphylla (Maxim.) Hand.-Mazz. Grewia calophylla Kurz ex Mast. Grewia cyclopetala Wawra & Peyr. Grewia ferruginea Hochst. ex A.Rich. Grewia flavicans Boivin ex Baill. Grewia microcyclea (Burret) Capuron & Mabb. Grewia monantha Capuron ex Mabb. Grewia orbifolia F.Muell. ex Benth. Grewia palodensis E.S.S.Kumar & al. Grewia penninervis Boivin ex Baill. Grewia ribesioides Capuron & Mabb. Grewia sahafariensis Capuron & Mabb. Grewia sinuata Wall. ex Mast. 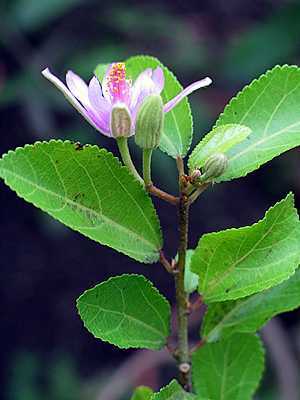 Grewia trichocarpa Hochst. ex A.Rich. Grewia viridiflora Teijsm. & Binn. Grewia viscosa Boivin ex Baill. Grewia xanthopetala F.Muell. ex Benth.